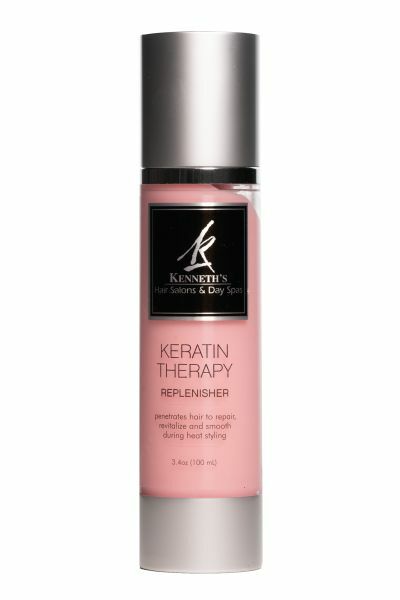 Penetrates hair to repair, revitalize and smooth during heat styling. Seals in keratin leaving strength, smoothness and shine. Heat activated, leave in treatment. Penetrates hair deeply for repair, revitalization and smoothing. A must for keratin treatments and other chemical/color services. Eliminates Frizziness. Formaldehyde free.